Every day rewards, for every day play. The more you bet, the more Rewards points you'll collect. The number of Tier Points earned depends on how often you bet with us. Once you reach a status, you will be eligible for that status' benefits for the remainder of that month and the next month. Your wagers on sports (pre-game or Live Betting) and betgames are used to calculate your Rewards points. These terms and conditions govern your participation in Betway Club as a loyalty programme offered by the Company. Player Extra Bets are calculated twice every week. First Extra Bets calculation period is from Monday 00:01am to Thursday 23:59pm, and you're Rewards points will be awarded on Friday. Second Extra Bets calculation period is from Friday 00:01am to Sunday 23:59pm, and you're Rewards points will be awarded on Monday. Players will be unable to check the status of their Extra Bets during the week. Players will be notified every Monday and Friday via SMS of their Extra Bet amount for the previous week. Extra Bets expire after 180 days. 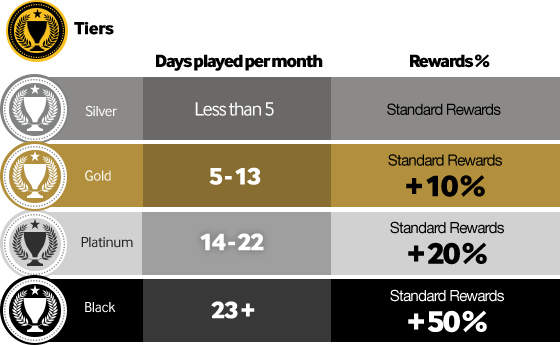 Should you not maintain your current tier status in the next month, you will move back to the 'Silver' status, and therefore have to build your way up through the tier system. Should you win from an Extra Bet, the Extra Bet amount will be removed from your winnings and the rest will be allocated to your cash balance. 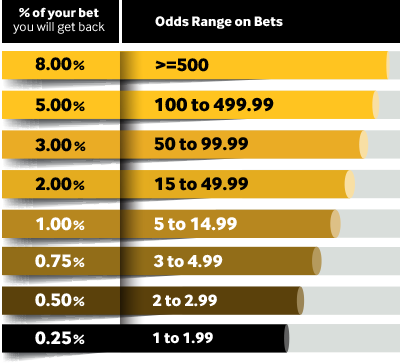 Example: If you wager an Extra Bet of R50 with odds of 4.0, the normal expected return would be R200. Since the R50 used to bet on the game was an Extra Bet, only the winnings of R150 will be added to the player's Account. The original Extra Bet amount of R50 will be removed. Betway reserves the right to withhold Extra Bets in cases of abuse or fraud. 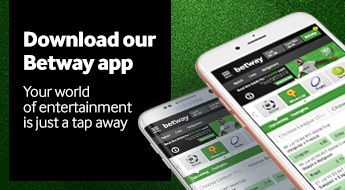 Betway Rewards is intended to reward customers for frequent play. As such, any attempt to disrupt, abuse or misuse the system will be subject to the terms found under Prohibited Activities (11.) in the Standard Betway Terms and Conditions. * If a Monday falls on a Public Holiday or Betway experiences any technical issues, Extra bets will be credited to customers on the soonest available business day. Raging River Trading (Pty) Ltd (2011/134505/07) trading as Betway, is licensed and regulated by the Western Cape Gambling and Racing Board. Bookmaker License Number: 10181496-004 . No persons under the age of 18 years are permitted to gamble. Winners know when to stop. National Responsible Gambling Programme: 0800 006 008. Warning: Gambling involves risk. By gambling on this website, you run the risk that you may lose.